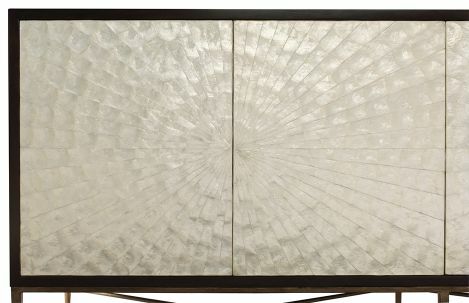 Beautiful inlaid capiz shell door fronts in solid gmelina in espresso finish with "x" steel stretchers in bronze finish. Touch latch and adjustable glides. Behind left doors is one adjustable/removable shelf and one hole with grommet in back panel. 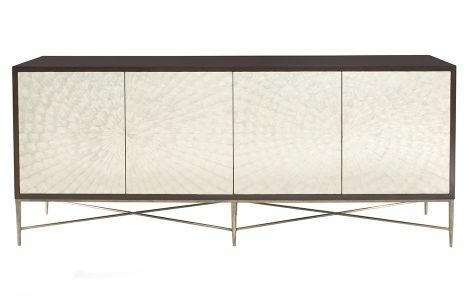 Behind right doors are three fully-extendable drawers.